ITALY – After the December referendum went to the polls – and failed with a 59.1% “no” vote – Italian Prime Minister Matteo Renzi kept to his promise and resigned. On December 5, the referendum marked a change in Italy. Victory for anti-establishment and right wing parties have seen Renzi’s hope for Senate power reduced and failing, claiming it a threat to democracy. However, Italy, the EU’s third largest economy is now plunging into political and economic chaos. The “No” vote could have profound consequences for Italy and the EU, including a further destabilising of the Italian banking sector and the possibility of Italy breaking away from the European Union. Italy’s plan to set up a parallel currency gained ground, with some saying the Italian economy could soar if the plans come into fruition. However, under the EU, Italy’s economy has stagnated for almost two decades. The parallel currency would run alongside the euro. Most of the Italian parties are backing its formation, along with Italy’s former Prime Minister Silvio Berlusconi. The backing is not surprising. As a result of zero growth under the euro, Italy has suffered an unemployment rate of a fixed 11%; youth unemployment sits at 35%, and the debt is a staggering 133% of GDP. The banking system is set to collapse, particularly after the referendum, and so Italian leaders are scrambling for ideas. The parallel currency makes sense for a sinking economy. The parallel currency would be used to pay government bills, welfare, and be utilised by small business. The Fiscal Credit Certificates, or CCFs, would allow for tax breaks to workers and businesses and would in turn boost income and productivity. Everyone can use the certificates (though not legal tender), and exchange them for goods and services as well as euro. If the parallel currency is successful, Italy will have the ability to leave the European Union. Former PM Berlusconi argued in August that it is also legal within the EU for Italy to launch the new currency. With almost two-thirds of Italian voters on the anti-euro stance, it is unlikely the alternative currency discussion is going away. Although there are rumours that the ECB has already approved Italy’s move towards an alternative currency, nothing can be officially confirmed. However, with the recent December resignation of Matteo Renzi, and the Italian right wing garnishing support from voters, the path is open for alternatives to salvage the Italian economy. A Spring election is earmarked for Italy in the new year; and although Berlusconi fell from grace in 2011, being forced to step down over his management of Italy’s debt crisis, the now 81-year-old is set to return to the political arena with a centre-right coalition backing. 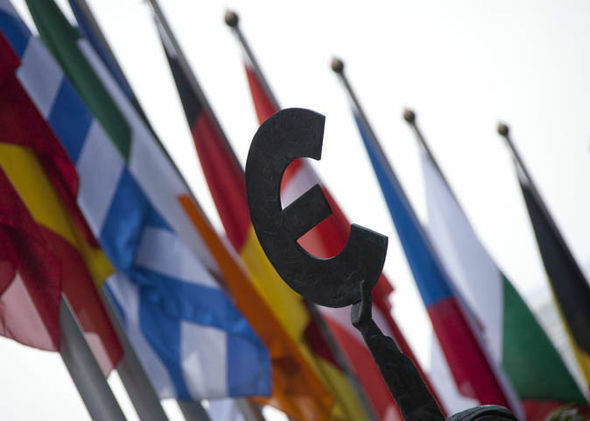 The March 4 elections will signify a headache for the EU as anti-EU rhetoric continues. In a rare interview aired on the BBC, Silvio Berlusconi predicts a return to the national Lira currency and a full abandonment of the euro. If this were to occur, the EU would face collapse as its third largest economy chooses to depart. © 2017 copyright reserved, Aral Bereux, D. News.